This is .223 Win. 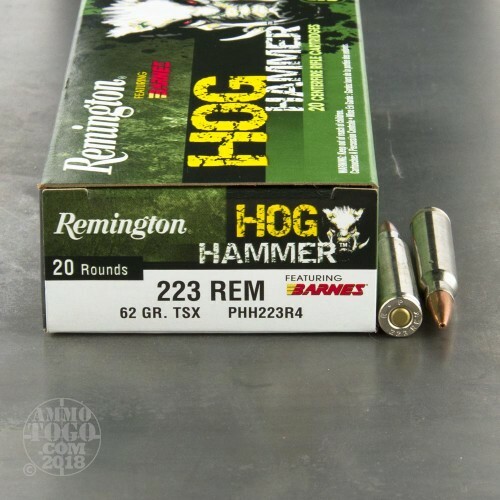 Remington Hog Hammer 62gr. Barnes Triple Shock-X Ammo. Features the Barnes Triple Shock-X bullet designed for improved expansion and deep penetration. It reduces pressure and barrel fouling while increasing accuracy and features all-copper construction for high weight retention to bring game down hard. 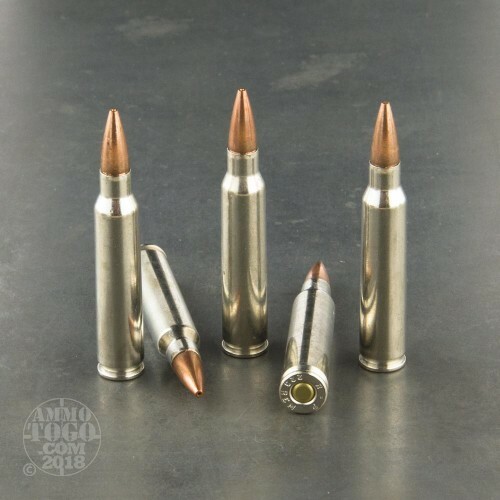 This ammo is nickel coated - brass cased, boxer primed, non-magnetic and non-corrosive. It comes packed in 20rd. boxes. Muzzle Velocity: 3100 fps. Have shot 5 hogs now with this ammo and it drops them in their tracks. Of course that's a neck or head shot. 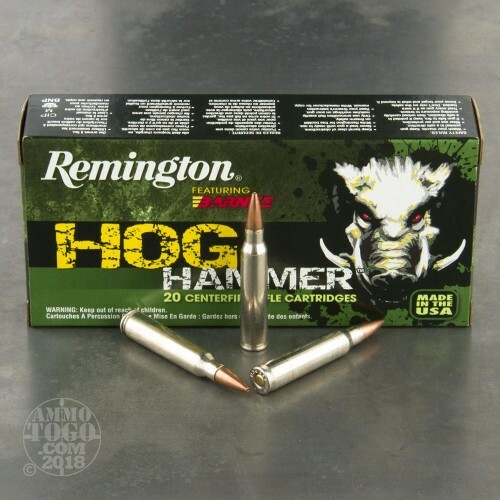 Bought a box of this ammo primarily for big tough hogs. Took this ammo/rifle combo deer hunting. Shot a extremely large bodied 8 point buck standing quartering to me. Dropped him in his tracks. The bullet mushroomed perfectly and stopped just under the skin on the off side rib cage. Couldn't ask for better performance! Bone crushing, tissue damage, and still a complete bullet with perfectly pealed back nose section. 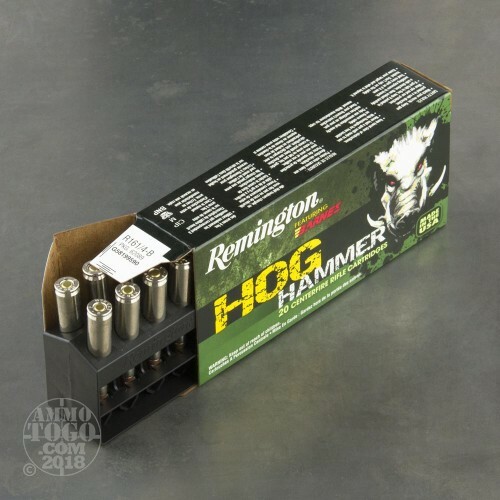 In preparation for my hog hunt, I bought a box of this ammo. While I've not shot a hog, I tried this ammo at my 100 yard range, to check accuracy. This is the most accurate round I've fired in my rifle, to date. The groups were very tight at sub 1 inch. I'm using an AR-15, with an 18" inch, 1:8 twist stainless steel free-float barrel.